Alongside diving on my free time and with the adults, there was lots of time to be spent in the water with the stars of the week: the kids! Kids Sea Camp offered many different courses throughout the week for children of all ages. I was lucky enough to spend a bit of time with most of the groups, both on land and in the water. The first group I worked with was the PADI Seal Team. 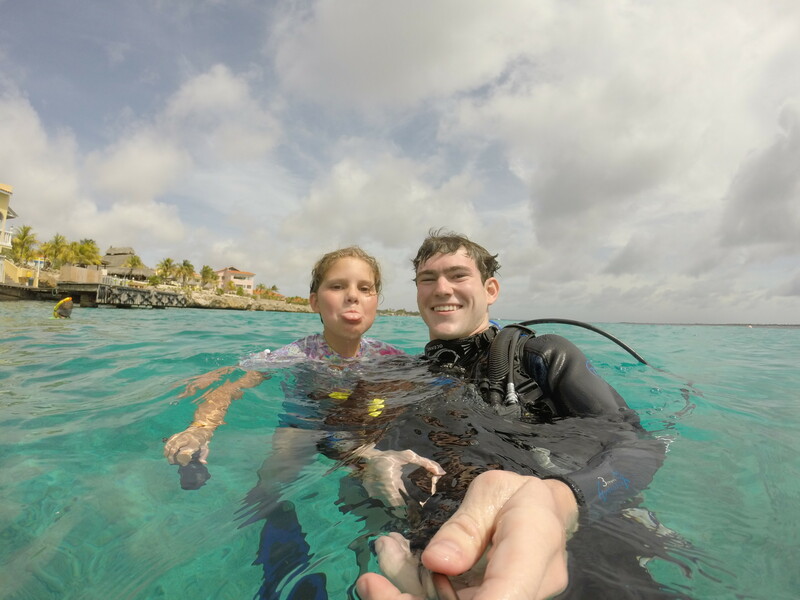 The PADI Seal Team Program is designed to introduce scuba diving to children not yet old enough to be Junior Open water certified. The Seals practice skills such as buoyancy control, mask clearing, underwater photography, and underwater communication in the pool. At the end of the week they perform their first dive in the ocean with their parents. This is a hallmark moment for many children, so it was great to see so much enthusiasm for this culminating dive. 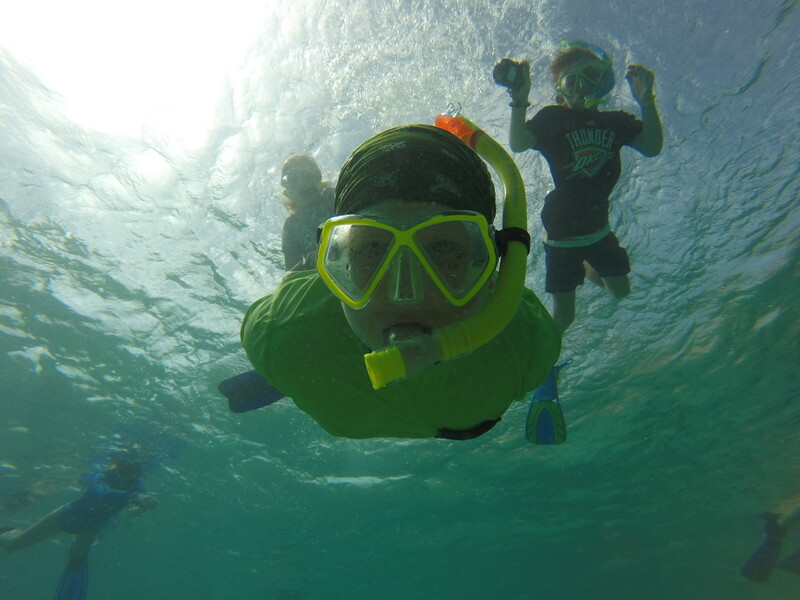 I was also able to join the Seals for an ocean snorkel mid-week. Having just completed a dive, I tagged along in my full scuba kit, allowing me to take some great photos of the snorkelers above me. 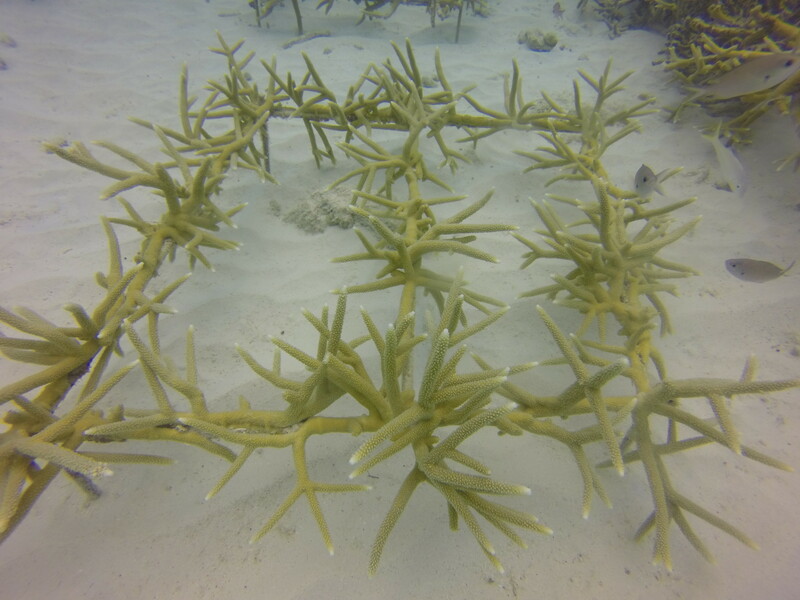 The following day, I joined the coral restoration group. 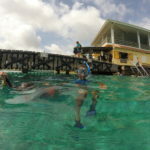 This organization promotes the conservation of various species of coral and the education of divers to responsibly interact with these animals. 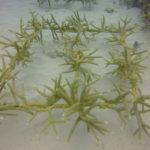 The Coral Restoration Foundation focuses its efforts in the Florida Keys and Caribbean with the goal of growing and outplanting corals to help rebuild and restore reef communities. 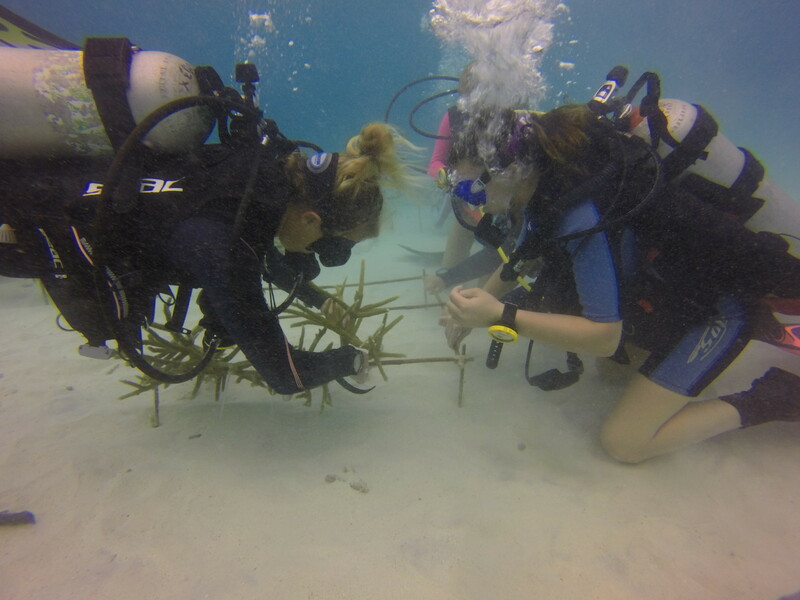 In Bonaire, the Coral Restoration Foundation manages over 30 coral ‘trees’ – structures designed to facilitate the growth of corals. 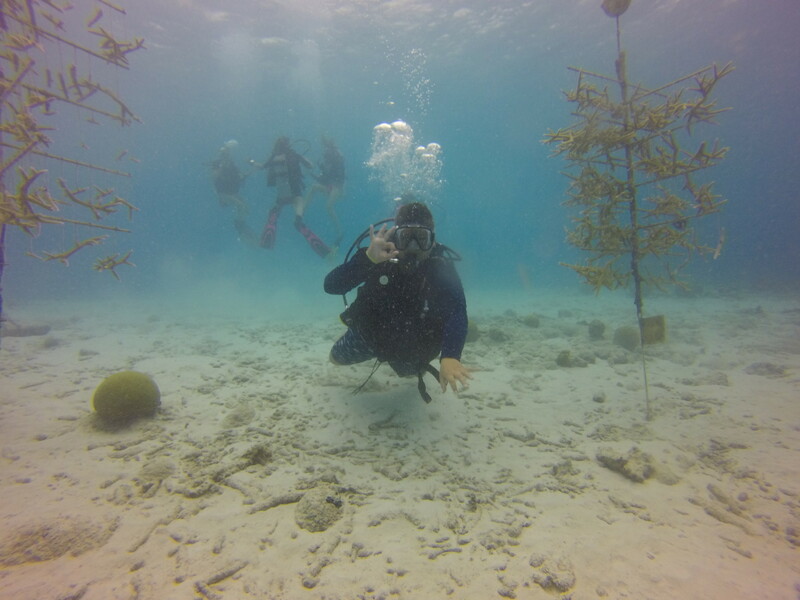 These trees serve as a nursery for young corals that will one day be introduced into a new location. 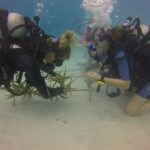 I enjoyed helping the kids transplant corals using a very meticulous process involving careful placement and proper attachment. It was great to see so many young adults interested in conservation and the protection of our oceans. 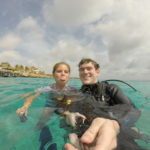 There was also lots of fun to be had with the kids outside of scuba diving. Kids Sea Camp’s annual trivia contest, hosted by the one and only Woody Tinsley, was so much fun. Woody has quite the arsenal of random factoids, ocean related and not. It was great being a part of the action as families competed for prizes and bragging rights. The poetry contests, a part of the camp’s closing ceremonies, was also very interesting. Some individuals entered their own works, while some families worked together. There were a wide variety of pieces including acrostic poems, haikus, songs, and even Bonaire themed Christmas carols! Finally, what would a Kids Sea Camp be without a Zombie Apocalypse?! On our last day of diving, all certified divers (and snorkelers) were offered the opportunity to earn their PADI Zombie Apocalypse Diver Specialty Certification from instructor Woody Tinsley. This day, I played the role of a menacing, underwater zombie in the ‘shooting gallery’. Divers had the chance to shoot me and my undead partners with a bubble-ring gun. I had a great time attacking the armed youngsters – all in good fun, of course! 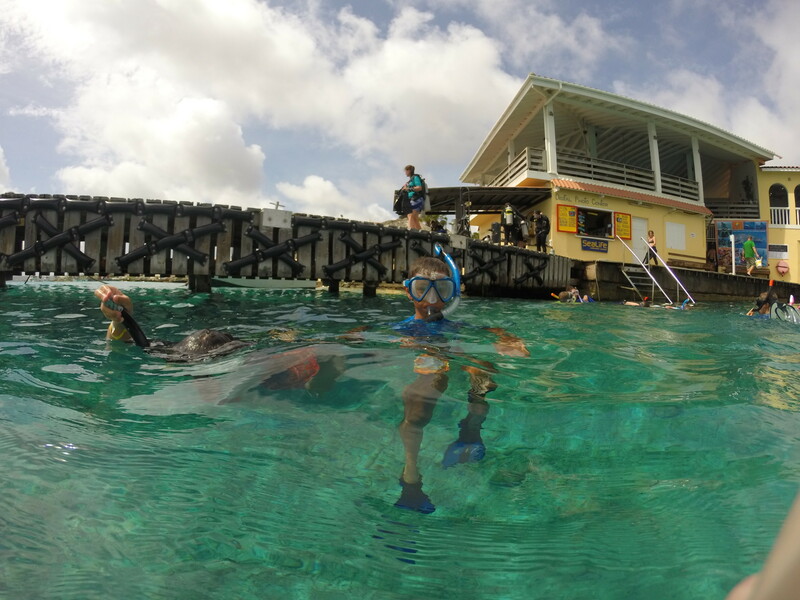 It’s easy to say that Kids Sea Camp is ‘Grade-A’ when it comes to fun and diversity.